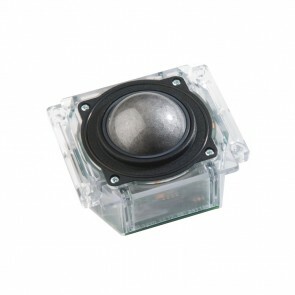 Our fully-sealed and waterproof optical trackballs are manufactured using cutting edge solid-state optical tracking technology—making them ready to take on the most demanding applications in harsh environments. The ursor Controls patented construction technique means that, other than the ball itself, the optical trackballs have no moving parts. They are sealed to IP68 standards and so totally waterproof and users have a choice of mounting configurations and diameters—38mm and 50mm. Easy to decontaminate and clean, they are ideal for a wide range of applications. 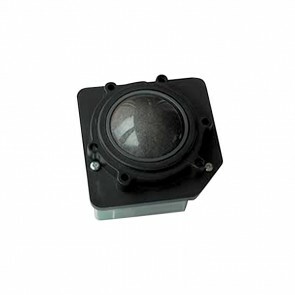 Utilizing the latest and most advanced infra-red optical tracking technology, the L38 Series Trackerball™ is an extremely high specification, contact-less device, ideal for the most demanding of cursor control applications. 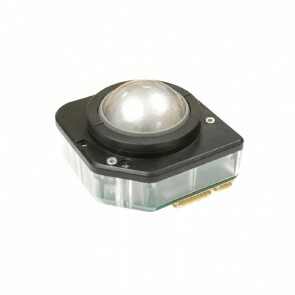 The infra-red optical tracking engine provides accurate cursor motion at all speeds, combining the benefits of solid state sensing (no moving parts except the ball) with the aesthetics, functionality and performance associated with the Cursor Controls product range. 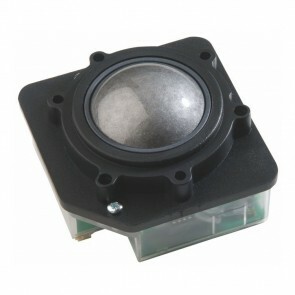 Utilizing the latest and most advanced infra-red optical tracking technology, the L50 Series Trackerball™ is an extremely high specification, contact-less device, ideal for the most demanding of cursor control applications. Utilizing the latest and most advanced optical tracking technology, the M50 Series Optical Trackerball™ is an extremely high specification, contact-less device, ideal for the most demanding of cursor control applications. The M50 Sries is designed especially for the medical and marine environments or where high levels of contamination are commonplace.